Cattle suffering from mineral deficiencies should be given a trace mineral and vitamin drench designed specifically for cows. 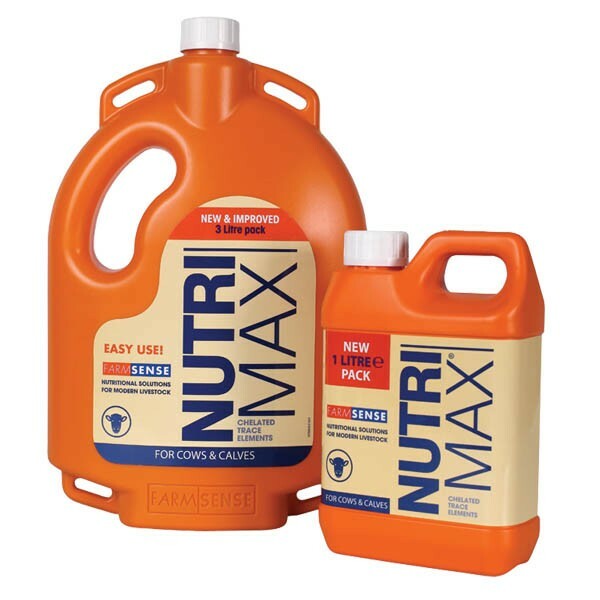 The correct balance between minerals and vitamins is an essential part of a good drench, which is what makes our Nutrimax Cattle drench market leading. All our drenches including our cow drenches contain chelated minerals, which are ‘coated’ minerals that are absorbed in the digestive tract of the cow faster and more effectively than standard minerals. Because of the wide range of roles that minerals, vitamins and other elements have within the body, by using a quality cattle drench you can expect to see health gains in numerous areas, including growth and live weight gain. ONLY TO BE FED TO CATTLE. For oral administration only. Feed only as instructed. Not suitable for calves under 3 months old. Not for human consumption. If mixing with wormer ensure mixed product is used same day. A full spectrum vitamin and trace element complementary feed for cattle requiring extra supplementation in trace element deficient areas. Precautions Store in a dry place between 15-25°C. Keep out of direct sunlight. Packaging 1 and 3 litre cans. Health & Safety Avoid ingestion. Wash splashes from eyes and skin immediately. SHAKE WELL BEFORE USE. Administer via a multi dose applicator that has been checked for accuracy and safety. Repeat administration as required but not less than 4-6 week intervals. 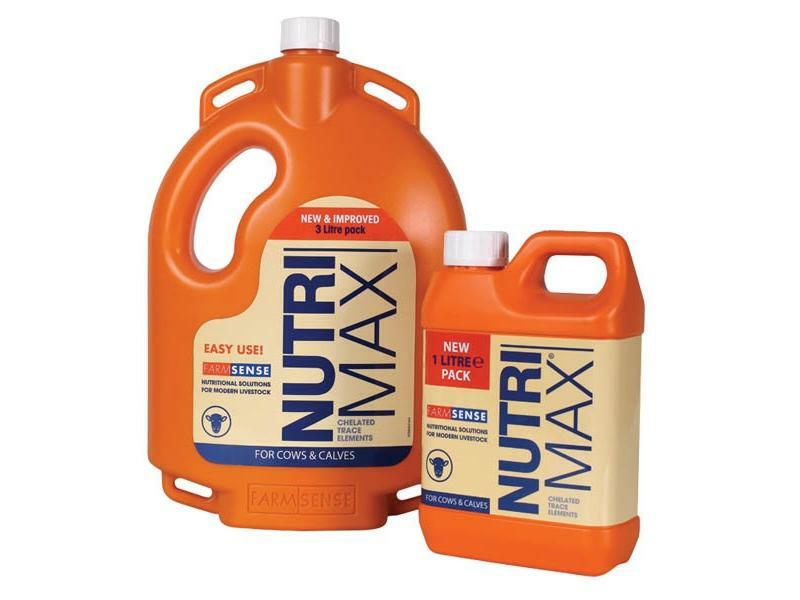 There are currently no questions for FarmSense Nutrimax Cattle - be the first to ask one!